Balt Shapes student desk offers a durable laminate work surface and sturdy steel legs. Height adjustable for added customization. Available in multiple finishes. Dimensions: 28.75" W x 27.25" D x 22" to 29" H.
Balt Shapes height adjustable student desk offers a long-lasting laminate top. Height adjustable from 22" to 29" high for added utility. Black edge banding for increased protection against collisions. Sturdy powder-coated black steel legs with swivel glides. 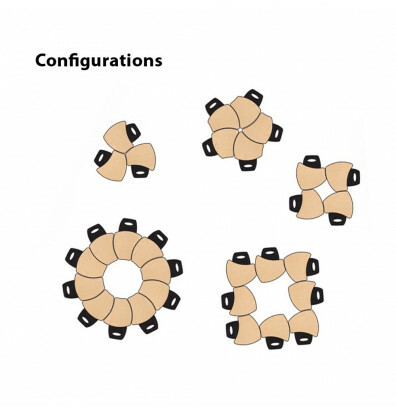 The unique top shape allows it to fit together with other units in a variety of configurations. Ships ready to assemble. 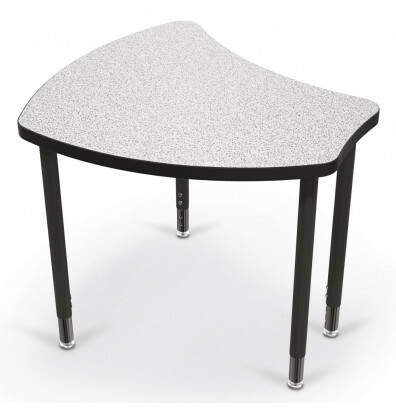 This Shapes student desk is available in a grey nebula or fusion maple finish. Upgrade this desk with a ganging device to configure multiple units and wire book box for added storage capacity.